On the cusp of the holiday gift giving season, the Asheville, North Carolina based band the Honeycutters prove that their newest recording, 'Me Oh My,' is the gift that just keeps on giving. The band recently filmed a new music video for the opening song on the album, "Jukebox." Heading just east of Asheville to Black Mountain, North Carolina, the musicians found THE most perfect setting for the song - the Town Pump Tavern. Surrounded by pickled duck eggs, a big plastic tip jar with faded black magic marker, and row after row of shiny liquor bottles, lead vocalist Amanda Anne Platt takes on a new role: bartender. As she stands behind the bar, idly wiping it down with a dirty rag, she sings of her hopes and dreams, her wishes, and (oh-so-shyly) her ambitions. This is a woman who, in spite of the fact that life seems to kick her down over and over again, stands up every single time, determined that the future will bring something better, something brighter. The jolly, honky-tonk rhythm of the song underscores the sweet plaintiveness of Platt's voice...until it doesn't. As she steps up on to the stage to join the band, her smile wide, her voice big and bright, she and the other musicians seem to be in perfect sync, swinging, swaying and encouraging the whole of the bar to join in and look ahead to the brighter side of life. 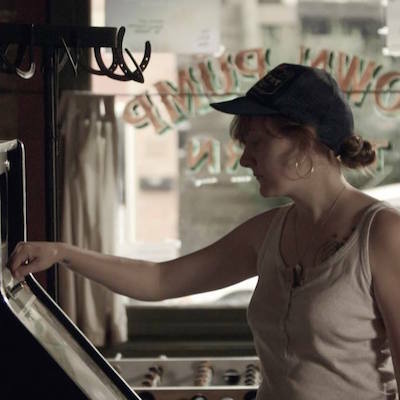 "Jukebox" serves as a powerful reminder that sometimes we just have to make a move. Sometimes, we just have to take a chance. Sometimes, we just have to keep on trying, even when we feel broken down and flattened out. Hey, who knows. This time it might work out. 'Me Oh My' is available via Organic Records here at iTunes and Amazon.com.